Chaukori is a small hamlet situated at an elevation of 1,740mts above sea level in Pithoragarh district of Uttarakhand state. chaukori is popular for yielding high quality tea. The town of chaukori faces the massive snow capped peaks of the mighty Himalayas. 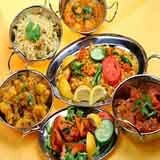 Bright End Corner, is located 2 km away from Almora and serves as a vantage point that offer stunning views of the sunrise and sunset with the snow clad peaks serving as the perfect background. It marks the start of the Mall Road in Almora. A centre for meditation can also be found at Bright End Corner which is popularly known as Shri Ramakrishna Kutir Ashram. Hundreds of tourists travel from across the world to visit this place seeking divine intervention. The feeling of peace and calm that you experience there is quite special. 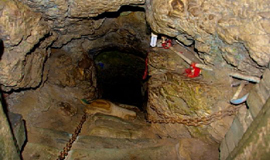 And about 43 km away, lays the ancient cave temple of Patal Bhuvaneshwar, a deep cavern whose natural rock formations bear a striking resemblance to the Gods and Goddesses of the Hindu pantheon. This is a place where one will feel very close to nature and a paradise for tea lovers. 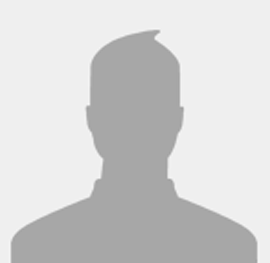 Kausani Tea Estate, situated 5 kms away from the main town is spread across the area of 208 hectares. The place also arranges for a short tour to show their manufacturing process guided by their own staff. One can taste and buy different flavored tea from there. Apart from it is an amazing location where you can stroll but take care not to visit here from November to March, when it remains closed. 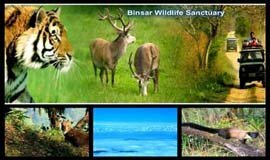 Binsar Wildlife Sanctuary situated at varying altitude of 900 to 2500 meters was established in 1988 is 33.5Km from Almora and lies in Bageshwar district consisting of thick forest of oak, rhododendron and cheer pine. The sanctuary was established to conserve and protect the shrinking broad leaf oak. Binsar Wildlife Sanctuary gets its name from Binsar Mahadev temple devoted to lord Shiva built around 9-10th century. It is said that the temple was built in a single day. At an altitude of 2480 meters above sea level, Binsar Mahadev is believed to fulfill the desire of child and female devotees light lamp on their palm here on the day of Vaikunth Chaturdashi. 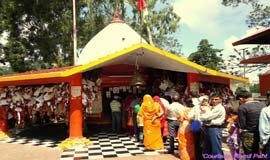 Chitai Temple, located 6 km from Almora near chaukori is a sacred temple devoted to the mythological and historical God of the Kumaon region, Golu Devata. Perched on a hilltop, this temple was constructed in the 12th century by a general belonging to the Chand dynasty. Golu Devata, believed to be an incarnation of Lord Shiva, was deified general of this dynasty. 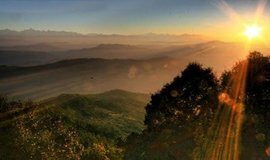 chaukori offers various viewpoints for its amazingly beautiful sunsets. 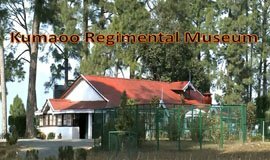 The most prominent amongst tem are Machkhali (near woodvilla), a site between Transit Camp & Ganiadeoli, and the one located on the road leading from Jhoola Devi Temple to Bhargaon. 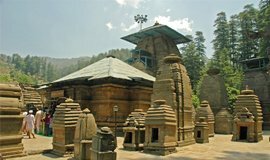 This temple, 60 km from Binsar, houses one of the 12 Jyotirlingas found in India. This temple is built on the Almora-Pithoragarth road, in the beautiful Jataganga valley. The grand temple complex consists of 124 temples which are famous not only for their exquisite craftsmanship but also for their pristine beauty of being located among thick deodar woods. .